The festival of holi brings happiness and in the morning when we start playing holi, we don’t think, that the holi color applied on our skin can cause some serious skin conditions. Before playing holi you need to keep a few things in mind. Yo can also read how to remove stubborn holi colors. Drink lots of water before playing Holi. It will keeps you hydrated and also you feel energetic and refreshed. Dehydration can cause your skin to dry. Mustard or coconut oil are the best oil which can be applied on entire body like on face, legs and hands so that color can be easily removed from the skin. This oil should also be applied on hairs so that you can protect your hairs from damage caused by colors. Oily hair store less color comparatively to the dry hair. And yes if you don’t like applying oils then you can apply a body lotion. To protect more you can apply sunscreen lotion on your body. This can possibly decrease the chemical effect of colors. Wear full sleeves cotton clothes which will cover your whole body so that you can protect your body from direct harm of colors. This rule you have to follow during playing holi because more you cover your body, the higher are the chances of saving your skin from color harm directly. Nowadays, there are many type of colors are available in market like natural colors and synthetic colors which contains harmful content like grease, engine oil, diesel, glass powder and lots more things which can damage your skin badly. And these things can cause serious skin conditions like redness, eczema, and flaking of skin. But natural colors can easily be prepared at home by the extracts of the flowers etc. And these are eco-friendly and have no side effects on your skin. So, it is always better to use natural colors to avoid any kind of skin conditions. Use colors like red or pink colors which can easily taken off and colors like purple, green, yellow, orange have more harmful chemicals in them so try to void them. 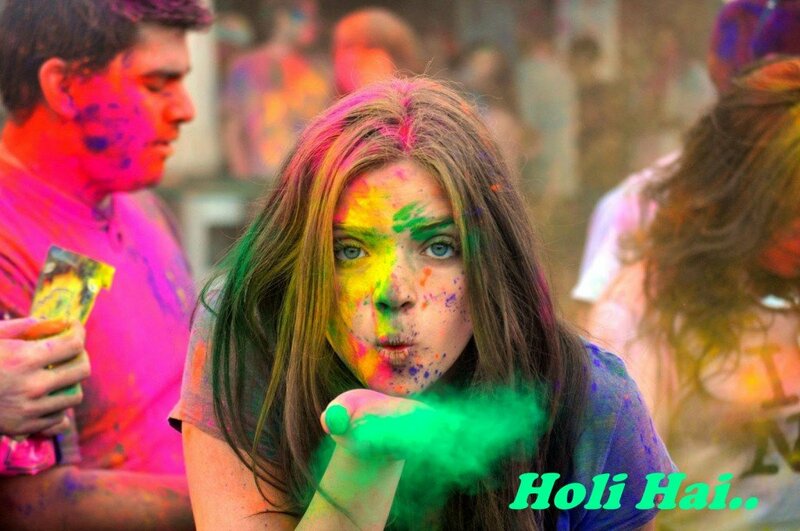 Try to avoid sitting in the sun when your body contains holi colors. Because when we sit in the sun then colors gets dried out. And this can makes the colors even more difficult to wash off later. If you want to protect your hair from every bit of color then wearing a bandana would be a great option for you. And it is very much trendy nowadays and surely gonna enhance your look for this occasion. Hold your complete hair together and make a low bun then tie a bandana covering your complete head. This way you can protect your hair and can play safe holi with your love ones. If you want to safe your nails then apply a dark color nail polish on your nails to avoid hoil colors. Keep your nails finely cut and small so that color cannot stick on it. Still, if you don’t get the proper idea about this then you can see some videos listed below from where I am sure you can find out your best way to keep skin safe from holi colors.